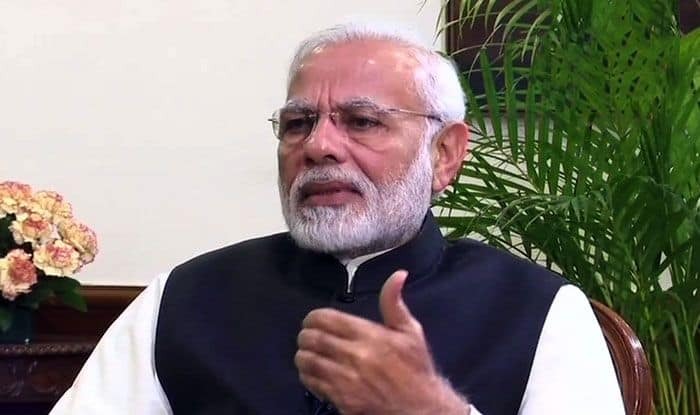 PM Modi said that despite the allegations from the Congress, he will continue to expedite the procurement process in defence so that the country security is not compromised. New Delhi: Slamming the Congress for attacking him over the Rafale fighter jet deal, Prime Minister Narendra Modi on Tuesday said that those levelling allegations on him are actually weakening the Indian security forces. “Those people who want to weaken the Army are levelling allegations. Should I worry that they are making personal attacks on me, or whether my country’s needs should be met? I decided that whatever abuses are hurled at me, whatever allegations are levelled against me, I will continue on the path of honesty and give primacy to the country’s security. I won’t leave my Army jawans merely to their fate. Whatever be their requirement, I will expedite the procurement processes. I will do it even if allegations are levelled me,” PM Modi said in response to allegations of corruption in the Rafale jet purchase deal. “In Parliament, I have spoken elaborately on this and whichever public forum I got, I spoke about this. The matter has been cleared even by the Supreme Court. The Supreme Court scrutinised it threadbare. The French President has spoken. ..Media should have the courage to ask (the Congress) where is the evidence for these allegations? Don’t throw muck and run away…. They (Congress) are not able to give any real evidence, just keep talking. Unko yeh bolne ki beemari hai toh mujhe kya baar baar ussi me ulajhna chahiye kya (If they have this problem of talking about it then should I too get entangled in it),” he added. The Prime Minister said that there should be debate in the country on why controversies have been created over defence deals since Independence and on need for middlemen in defence purchases. “Why controversies have been created over defence deals since Independence and our forces weakened. Who is doing it? What is the reason? Also, what is the need for middlemen in the defence deals? Can’t defence deal not be done without middlemen? Had Make in India been initiated 70 years back, the malai khane wala raasta from outside would have been closed. My crime is that I am trying to Make In India. My crime is that whatever our defence forces need, that should be made in India, so that dealings outside the country end. I am trying to get technology transfer,” Prime Minister said. The Prime Minister sought to dispel the Congress allegation that the purchase would harm his Make in India initiative. Congress president Rahul Gandhi has accused Prime Minister Modi of favouring Anil Ambani’s Reliance group in the Rafale deal by pushing Dassault Aviation to have a tie up with it through an offset clause, an allegation denied vehemently by both the Indian government and Dassault.